Give us a call at (386) 320-3909 or Submit a Service Request. 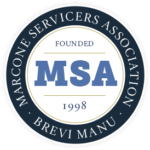 After you submit your service request, we will call you with some recommendations, tips and discuss the issue/s that you are experiencing with your appliance. It might be something as simple as plugging in the machine or tripped breaker. We will also schedule a date and time for a service technician to come to your home. Please be prepared to provide a model number if possible. If you can't locate your model number, don't worry, we can help you locate it when we call. This is extremely important because we want to ensure that we bring the right parts that could possibly be malfunctioning. This helps us complete the repair while we are in your home or business. 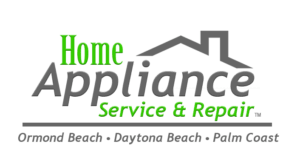 If we come for a service call, we will diagnose your appliance and provide a quote for your appliance repair. Our Flat Rate price will include all parts, fees, and taxes. This helps you, so you know exactly what you are paying. An additional charge of $20.00 for stacked washers and dryers (This additional charge is not required on "Laundry Centers"). Please let us know if your units are stacked, to avoid unnecessary delays. To avoid the additional charge, please ensure the units are not stacked when the technician arrives. *Diagnostic fee includes drilling down to a sealed system failure. Diagnosis of what part of the sealed system is failing may require an additional diagnostic charge (typically to braze in new valves, and recover refrigerant, and pressure testing etc.) Sealed system failures are typically catastrophic failures and not economical to repair. 99% of cooling issues arise from other components such as control boards, invertors failures, thermistor errors and other non-sealed system related components and are not normally considered a catastrophic failure and fall within our diagnostic fee of $69.00. During the diagnostics of your appliance, if it is determined that the problem with your appliance is caused by faulty house wiring, faulty plumbing, ventilation issues or any other issue that is not related to the repair of the appliance, the customer will still be required to pay the diagnostics fee of $69.00. We do ask for payment after the service is complete. We also ask that a homeowner is present for our first appointment. If you will not be at home when the repair is completed, please make prior arrangements for payment by giving us a call at 386-320-3909.